You will be met at your Hotel by your English speaking driver and depart Fes for Merzouga. Experience spectacular views of cedar forests, visit the Barbary Apes at Ifrane and tour through the beautiful and scenic Midelt on route to the Sahara. Travel through the Ziz valley and view the Efous oasis which offers amazing photographic opportunities. 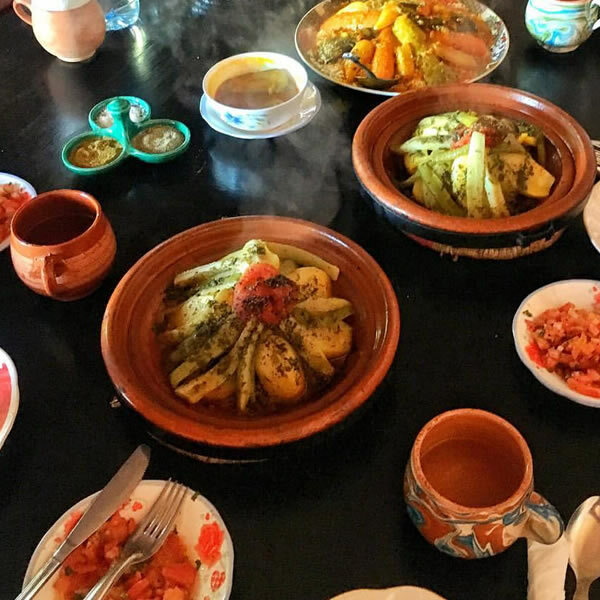 Arrive late in the afternoon for your night in Merzouga, the threshold of the Sahara.For lunch we recommend stopping for a Moroccan BBQ at Zaida, close to Midelt –you can take the lead from your driver. Erg Chebbi is the large sand-sea which effectively marks the start of the real Sahara and some of the dunes in this area rise to over 245 metres. The colors of the rising and setting sun over these dunes make for a truly magical experience. Enjoy a leisurely morning. Your driver is available for you all day which gives you the opportunity to explore the surrounding desert areas. 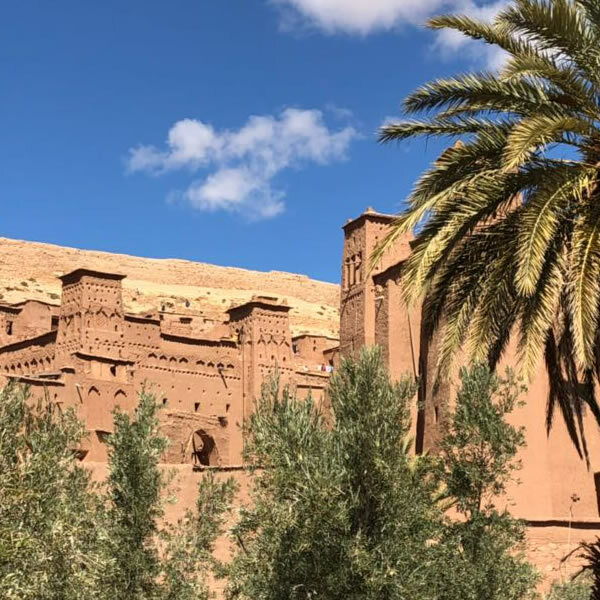 Some thoughts might be the Rissani Kasbah Abdelhali and local souks (if it’s market day), local fossil digs, flamingo lakes or an exhibition of gnoua music at Khamila. In the afternoon your driver will introduce you to your nomad guide for your overnight camel excursion. Your guide will take you into the desert, around a 1½ – 2 hour ride by camel. When you reach your accommodation, you can relax, climb the dunes or just star gaze while your guide prepares your evening meal and sets up your campfire for you. For lunch we suggest trying madfouna, a local Berber style pizza – a specialty from the region – you can find at local bakeries in the area – again take the lead from your driver at to the best spot to find them! Rise early in the morning to see the amazing sunrise over the dunes before making your way back by camel to your accommodation in Merzouga where we organize for you to freshen up and take breakfast before departing back to Fez. This is an extensive day’s drive and the scenery across the Atlas Mountains through the South of Morocco is truly mesmerizing and dramatic. On your arrival in Fez you will be transferred to your hotel. NOTE: You’ll only need essentials in the desert so best to take a small backpack with all you need and you can leave your luggage or with your personal driver.